The U.S. senate has unanimously voted to deploy another radar station in a foreign country, according to RIA Novisti. An amendment to the federal defense budget, proposed by Republican Senator John Kyl, was passed on Wednesday. It would see $89 million allocated to “the activation and deployment of the AN/TPY-2 forward-based X-band radar to a classified location”. The radar would be similar in design to the one currently slated for deployment in the Czech Republic. There has been much speculation about where the “classified location” might be, and analysists have advanced Japan, Israel and Georgia as possibilities. Japan is reportedly eager to work with America on issues of missile defence, due to its close proximity to nuclear powers China and North Korea. RT's expert guest Ruslan Pukhov said this makes Japan an ideal location for a radar base. Click here to watch the interview. The Senate vote comes in the wake of Israeli media reports, first appearing in Tel Aviv newspaper Haaretz in August, and later confirmed by Pentagon officials, that an X-band radar will be deployed in Israel's Negev desert. The radar will be operated by U.S. military staff, making it the first time that U.S. Army personnel will be permanently based in Israel, according to Haaretz. Under the agreement the Israeli radar will be linked to the U.S. satellite system, and both countries will have access to early warnings of impending missile attacks. The radar deployment was reportedly discussed at meetings between the Israeli Defence Minister, Ehud Barak, and U.S. Defense Secretary, Robert Gates. A source in the Russian intelligence community told RIA Novosti on Thursday that the radar installation is planned for deployment in Israel. Following recent tensions in the Caucasus, Georgia has also been hinted at, by analysts, as a possible host of a U.S. radar system. Georgian radars were linked to the NATO surveillance network at the beginning of September. Georgia's current radar surveillance system is Russian-made. 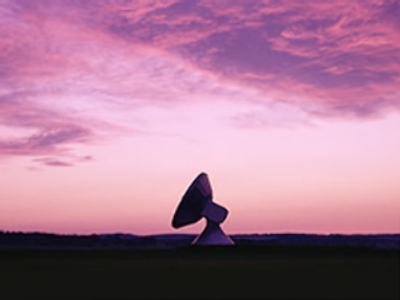 What is an X-band radar? A X-band radar, of the type proposed by the Senate, works on the same wavelength as a microwave oven. Its massive power gives it impressive accuracy and speed. It can detect an object the size of a tennis ball 4,700 kilometres away. Serious concerns have been raised for the safety of people living near the radar, for example in the Czech Republic where 60% remain opposed to the planned U.S. radar in their country.